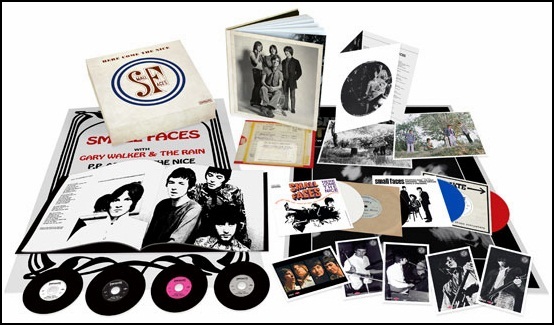 “Here Come The Nice: The Immediate Years Box Set 1967-1969” is Small Faces set that celebrates the band’s 1960’s career on Andrew Loog Oldham’s “Immediate Records” label. The set features all the hit singles (A & B side) plus EPs and rare and previously unreleased material, unheard recording sessions from Olympic, IBC & Trident Studios, outtakes, early mixes, alternate versions and live material. The 75-songs are remastered from original analogue master tapes and studio multi-tracks are presented on four CDs. Additionally, three replica seven-inch vinyl records are included, pressed on red, white and blue vinyl. A fourth seven-inch replicates an original Olympic Sound Studios acetate that features an embryonic Something I Want To Tell You called ”Mystery…”The set comes along with a 72-page hardback book with a forward by Pete Townshend and an introduction by surviving band members Kenney Jones & Ian Mac McLagan. The book contains rare and unpublished photos, sleeve notes by Mark Paytress as well as newly written contributions from the likes of Robert Plant, Paul Weller, David Bowie, Nick Mason and others. “Playing by ear” is the authorized biography of the record business legend whose astounding career spans more than 50 years. 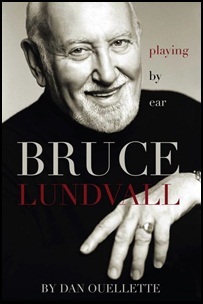 Bruce Landvall has been responsible for signing an array of top artists from Columbia / CBS, Elektra / Elektra Musician and Blue Note, where he still works as chairman emeritus. Author of the book is Dan Quellette and it is published by Artist Share. 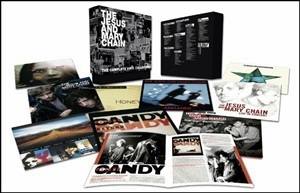 “The Vinyl Collection” is The Jesus And Mary Chain limited edition box set that features bands six studio albums, remastered and pressed on heavyweight vinyl; one double LP of BBC Sessions; a live album and an LP comprised of B-sides and rarities voted for by fans all together with a 32-page book. 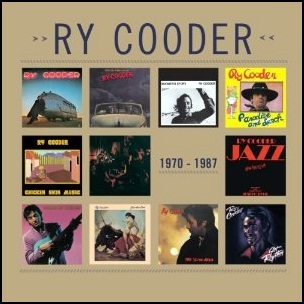 “1970 – 1987” is eleven CD box set containing 11 RyCooder albums originally released in the period between 1970 and 1987: Ry Cooder / Into the Purple Valley / Boomer’s Story / Paradise And Lunch / Chicken Skin Music / Show Time /Jazz / Bop Till You Drop / Borderline / The Slide Area and Get Rhythm.